What are plyometric exercises and how to use them to develop maximum power & strength for your favorite sport? Plyometrics are a highly effective form of power training designed to significantly improve sports performance. Used by athletes to reach peak physical condition, plyometric exercises manipulate the elasticity and strength of muscles by increasing the speed and force of their contractions. This gives plyometric training the ability to produce fast and powerful movements that provide explosive power for a variety of sports. Plyometric exercises are a method of power training used by many team and individual sports. 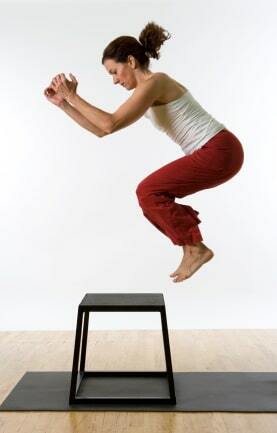 In the simplest of terms, plyometrics are exercises that involve a jumping or explosive movement. For example, skipping, bounding, jumping rope, hopping, lunges, jump squats, and clap push-ups are all examples of plyometric exercises. Plyometric exercises use the stretch shortening cycle (SSC) to generate quick, powerful pre-stretch or counter-movements. 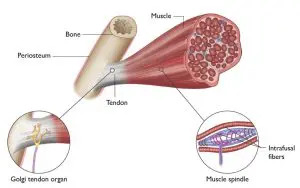 Muscles are loaded with a lengthening (eccentric) action, followed immediately by a shortening (concentric) action to reach their optimum force in the fastest time possible. Plyometric exercises strengthen muscle tissue and train nerves to produce the specific muscle contraction. A plyometric contraction involves three consecutive phases. This combination gets the muscles to work in unison while engaged in a particular movement. The myotatic stretch reflex is stimulated to enable the automatic contraction of muscles. The explosive movements generated develop muscular power by acting on nerves, muscles, and tendons. A plyometric exercise is an exercise in which an eccentric muscle contraction is quickly followed by a concentric muscle contraction. In other words, when a muscle is rapidly contracted and lengthened, and then immediately followed with a further contraction and shortening, this is a plyometric exercise. This process of contract-lengthen, contract-shorten is often referred to as the stretch – shortening cycle (SSC). Muscular power and muscular strength are not the same thing. Muscular power is determined by the time it takes for muscular strength to convert into speed. 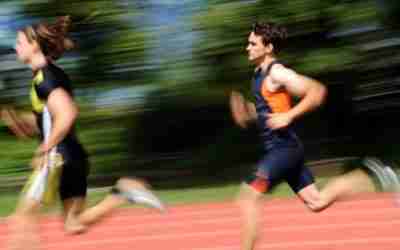 A short, fast muscle contraction will produce higher energy than a slower and more powerful contraction. Increasing muscular power by quickly converting muscular strength into speed gives athletes the ability to perform movements that strength alone cannot allow. Plyometric training improves the athlete’s ability to apply more force, more rapidly. This ability to generate maximal force can be transformed into sport-specific power in sports like martial arts, soccer, tennis, basketball and athletics. This is achieved through plyometric exercises that repeatedly stimulate the elasticity of muscles with movements that mimic the chosen sport. Plyometrics train an athlete to apply a set amount of force in the shortest period of time. Plyometrics converts maximal strength into fast, powerful and explosive movements. Plyometric movements, or drills, are applied as sport-specific power by mimicking the movement patterns of the sport, which enables the athlete to run faster, hit harder, throw farther, react quicker, etc. Why are Plyometric Exercises Important for Injury Prevention? Plyometrics are often used by athletes to develop power for their chosen sport, and a lot has been written about how to accomplish this, but few people realize how important plyometrics can be in aiding injury prevention. Essentially, plyometric exercises force the muscle to contract rapidly from a full stretch position. This is the position in which muscles tend to be at their weakest point. By conditioning the muscle at its weakest point, (full stretch) it is better prepared to handle this type of stress in a real or game environment. Why are Plyometric Exercises Important for Injury Rehabilitation? Most injury rehabilitation programs fail to realize that an eccentric muscle contraction can be up to three times more forceful than a concentric muscle contraction. This is why plyometric exercises are important in the final stage of rehabilitation, to condition the muscles to handle the added strain of eccentric contractions. 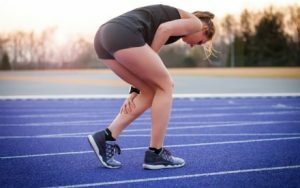 Neglecting this final stage of the rehabilitation process can often lead to re-injury, because the muscles have not been conditioned to cope with the added force of eccentric muscle contractions. There has been little research done into formulating best practices for plyometric training. The National Strength & Conditioning Association and others have proposed some guidelines but it has been left mainly to the experience of coaches to formulate their own training plans. Therefore, plyometric exercises should only be done by fit individuals under supervision to avoid any risk of injury. Good physical strength and flexibility are required to cope with the powerful forces that are generated during plyometric workouts. Minimum strength requirements before doing plyometrics vary depending on the intensity of the plyometric workouts. The following examples provide a general recommendation of what is required before commencing plyometric training. Individuals should be able to perform 5 squats at 60% of their body weight. Individuals should be able to perform 1 squat of 1.5 to 2 times their body weight for lower body plyometrics, and a bench press of 1 to 1.5 times their body weight for upper body plyometrics. Little research has been done to either confirm or deny any increased risk of injury through plyometric training. However, even though plyometrics is not inherently dangerous, there is an increase in the level of stress on joints and muscle tissue from repeated, highly focused and intense movements (shock and tension drills). This has lead to the proposal of some safety guidelines including the following. Use only low intensity, low volume and unstructured plyometrics drills for prepubescent children to prevent any potential damage to their epithyseal plates that have yet to close. Use only low intensity and low volume plyometrics drills, with caution, for athletes over 240 pounds (109kg). Athletes must be well-conditioned and have good levels of physical strength, flexibility and proprioception (inherent body awareness) before commencing plyometric training. Proprioception is a vital part of balance, coordination and agility, which are also required for safe plyometric workouts. Athletes must be instructed on the proper techniques before commencing any plyometric exercise such as proper landing techniques. Plyometrics workouts should be performed under supervision. 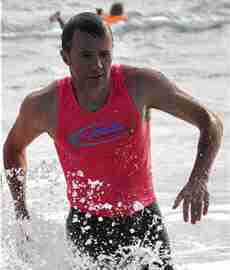 Athletes should be fresh and free of any injury before exercising. Landing surfaces should be shock absorbing for depth jumps such as gymnastics rubber mats, suspended floors or grass. Hard surfaces should never be used. Adequately warm up before a plyometric workout. Good flexibility helps prevent injury and enhances the stretch shortening cycle. Make sure you warm up before attempting any of the plyometric examples below and take extra care to follow the precautions in the section above. Below are three lower body plyometric exercises and three upper body plyometric exercises. Stand with feet apart at shoulder width. Flex your trunk slightly forward keeping the back straight in a neutral position. Keep your arms in the “ready” position with elbows flexed at approximately 90 degrees. Lower your body until your thighs are parallel to the ground. Immediately explode vertically upwards driving your arms up (extend the ankles to their maximum range before takeoff). Minimize the transition phase (the time between dipping down and immediately jumping up). Land on both feet and then repeat for the number of prescribed repetitions. Face the box standing with feet apart at slightly wider than hip width. Dip down into a semi-squat position before immediately jumping onto the box. Land gently on the box. Step back down, or jump back carefully. Repeat for the number of prescribed repetitions. Face side on to the box with feet apart at slightly wider than hip width. Step back down, don’t jump. Stand with knees slightly bent and feet placed about shoulder width apart. Hold a medicine ball behind the head before forcefully throwing it forward into the wall or at a partner. Minimize the transition phase (the time between pulling the ball back and starting the throw). Catch the ball on the rebound from the wall or partner and repeat according to the number of prescribed repetitions. Stand with feet apart at slightly wider than hip width with a partner standing about 10 to 15 yards behind you. Grasp the medicine ball with both hands and dip down into a semi-squat position. Immediately explode upwards by generating power in your legs and extending the entire body to throw the ball up over the body. Throw the ball as far as you can behind you. Catch the ball on the rebound from your partner and repeat according to the number of prescribed repetitions. Stand with feet shoulder width apart with knees slightly bent. Hold a medicine ball back behind your head. Throw the ball as hard as possible down into the ground. Catch the ball on the rebound and repeat for number of prescribed repetitions. Wikipedia contributors. (2019, February 22). Plyometrics, In Wikipedia, The Free Encyclopedia. Wikipedia contributors. (2016, June 6). Stretch Shortening Cycle, In Wikipedia, The Free Encyclopedia. Spurrs, R. Murphy, A. Watsford, M. (2003). The effect of plyometric training on distance running performance. European Journal of Applied Physiology, 89(1), 1-7. Bedoya, A. Miltenberger, M. Lopez, R. (2015). Plyometric training effects on athletic performance in youth soccer athletes: a systematic review. The Journal of Strength & Conditioning Research, 29(8), 2351-2360.